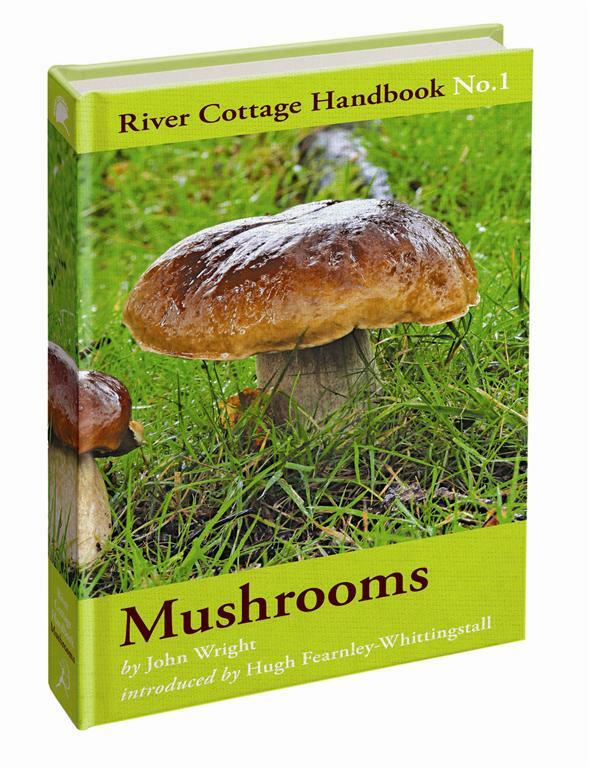 A free gun wasn't the only good thing to come through my front door yesterday - I got my copy of the River Cottage Mushroom Handbook by John Wright in the post as well. It's my first mushy book and I ummed & ahhed long over the choice between this and 'Mushrooms' by Roger Phillips - the classic foragers guide. Too restless to sit down at home I took it to the yard of the Swan pub in town and - while seeking the remedy for my ills in Old Speckled Hen and Irish Flake - read the first fifty pages or so. It's funny; I chuckled, I 'laughed out loud', even. John Wright is clearly a walking encyclopedia of all things mycological but he's also possessed of an infectious dry wit. So as well as being useful it's a thoroughly enjoyable read (perhaps a shade more so if you're off your head on weapons-grade tobacco and and strong ale). Pretty much the first thing he writes in the book, though, is: Do not use just one book as a guide when picking wild mushrooms. Ah well, O.K then - I needn't have ummed & ahhed - I should have just got them both. I'll remedy that too. my family seems to have a horror of all things wild and free. my mother's comment on when she had learnt my brother had been on a mushroom forage in the Czech republic - 'oh but it's so dangerous' 'no mum, it isn't and he went with a family who had generations of experience.' 'oh but it is ten people died recently from wild mushrooms - or they fell down the mountain - but it's still dangerous either way' !!! Oooh! I want a copy! Off to the book shop I go.